British artist Philip Levine began to go bald for 30 years. He did not buy a wig, and to take any action, and came to this problem creatively. Invented a new artistic movement called «headism» (which can be translated roughly as "golovizm" (from the English. Head - head), but the Russian equivalent does not exist yet. 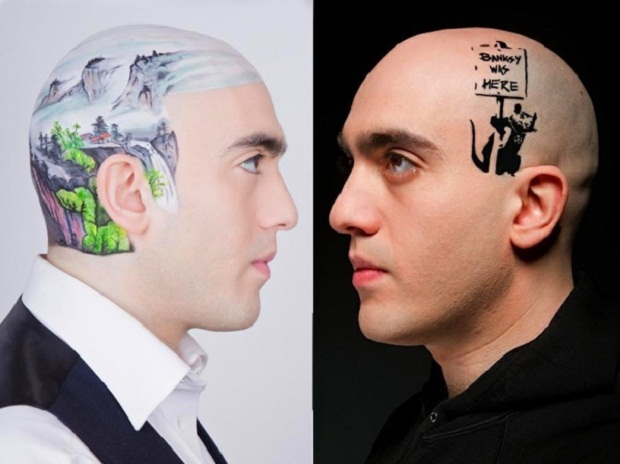 Since 2006, our hero began to completely shave his head, which then offered all sorts of creatives to use as a canvas to realize their design ideas. 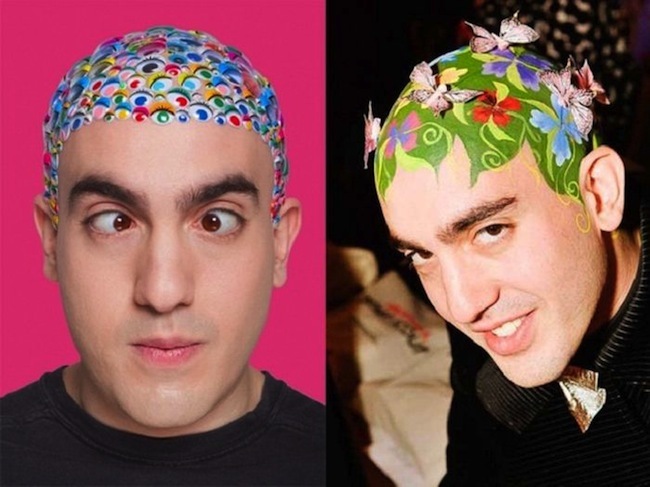 Very soon the fashion websites have noticed their original work and began to publish photos of Levin in the most unusual way. 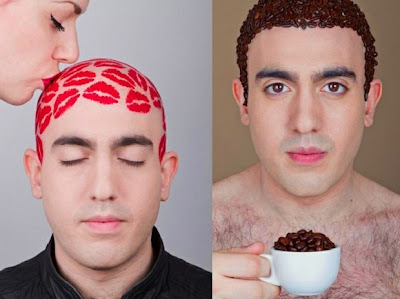 Bodyart, crystals Swarovski, beans, and even stationery button - which just does not see his artistic bald! 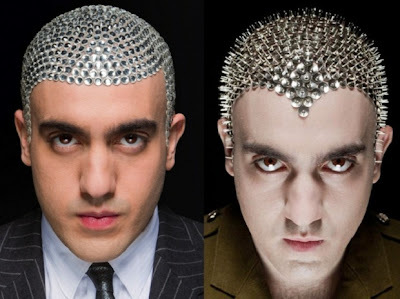 In 2009, Levin knew that his head was a breath of fresh air in the world of art, inspiring artists to the most daring experiments. 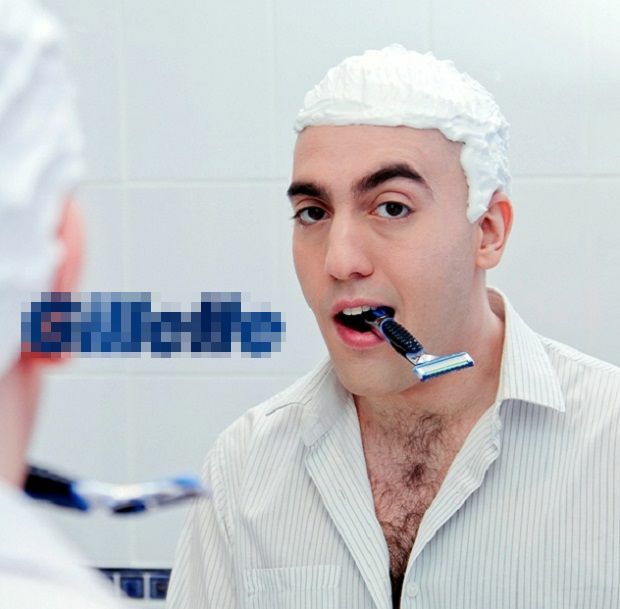 Inspired by this discovery, he decided to organize an exhibition of photographs in which his bald head was directly involved.